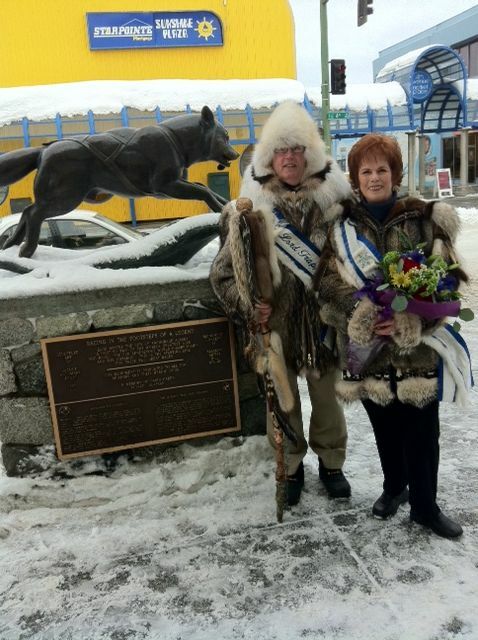 February is our transition month, because it's time for Fur Rendezvous. This helps us to put the below zero weather behind us, and enjoy being outdoors for all the events of "Rondy". 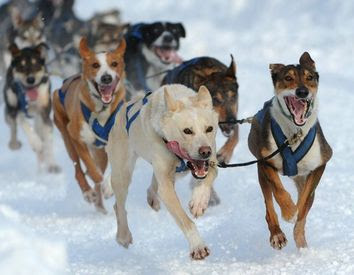 We have dogsled races locally, which precede the big Iditarod Race to Nome which follows the 2 week celebration. We have mushers from all over the world who have come to race. But we have many other events. The Miners and Trappers Ball is always a good one for costuming, and the Run with the Reindeer rivals Pampalona's Running of the Bulls. A long time tradition of the Pioneers of Alaska Pancake Feed, where we serve over a thousand breakfasts at our downtown Pioneer Hall, and a parade follows this on Saturday. There is a great melodrama which is always sold out, run by the Sourdough Sweethearts (I think it's them) and you can even ride in the sled of dogteam on the Park Strip . . . yes, there's something for everyone. 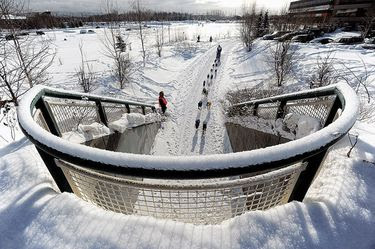 Come visit Alaska! We have a lot going on.